What After The End Of The World? Finally, the end of the world is around the corner, well at least the end of the Mayan calendar that scared the crap out of the world. It is a cycle calendar that ends at 12/21/2012. 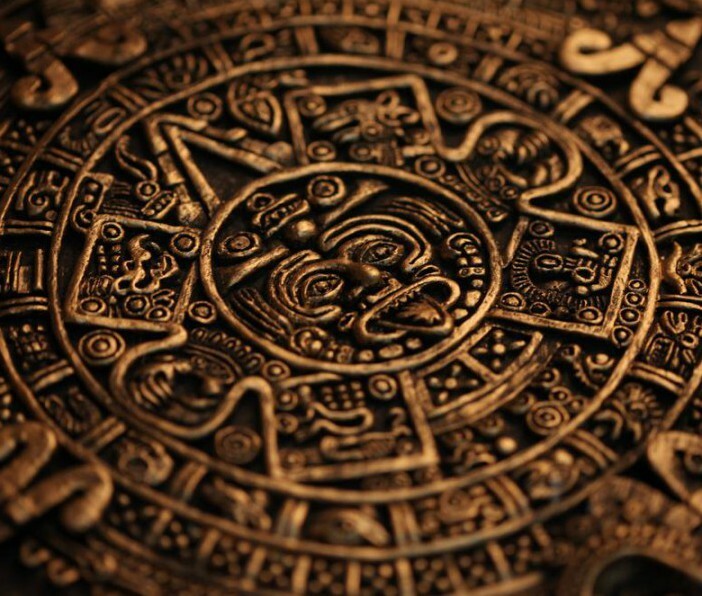 Mayans say that it’s the date when the world will end and a new one will begin. How could they know all of this, I mean we know they were super smart and all but predicting the end of the world and in the exact date, it is a little creepy, that’s all. After all it is not ours to judge why they thought that December 21, 2012 will be the end of days, maybe they were trying to say something else and we misunderstood them, maybe their imagination was short and couldn’t think on what will happen after 21st. Who knows what were they thinking? Who knows what will happen on December 21, 2012? The question you should be asking yourself is not what will happen on December 21, 2012. The question you should ask yourself is what will happen after December 21, 2012. One thing is for sure, on 12/21/2012 it will be the end, the end of an era, the end of a cycle that lasted almost 26000 years. You may not feel anything at all, it will be a normal day like every other day. What is important is how you understand this date. Will it be an end of something you wish to end? Will you start doing something different in your life? The truth is that any day can be “an end of an era” for you, what matters is will you be that strong to change your life on better? Look at this transition as something you may use to your gain. Like it or not the date is viral and the whole world will wait to see what will happen on December 21st. Unlike them, you can start deciding how you will live since then. You may change whatever you like, start learning something new, start a hobby, free yourself of limitations and say what you really want to say, change jobs, almost anything you don’t like in your life you have a chance to change. Take a list and a pen and write everything you want to change. Than start writing how the perfect version of yourself looks like. After you are finished with both lists, decide what will you change in your life to become that perfect version and how. The advantage is that when something this viral happens it leaves a mark in our subconscious. We will always remember that date, so you can link that memory with something that will change you on better and it will always remind you that since then your lifestyle changed. This will do you good in those moments when after 12/21/2012 you are going to steer to your old self. That memory won’t let you end up the same person you were. At least your lifestyle will be easier to stay changed. The biggest part it’s up to you and your will, nothing can help you if you don’t have strong enough will to become that perfect version of yourself. But, what you can use of that simple date is still something a lot of people won’t and that gives you an advantage. Every day can be a day when you start over, when you start steering your life in the direction you want it to go, but many of us end up stuck in that everyday familiar loop in which we feel safe. This date can help you jump through the loop hole and change the way you live. It is because something that scary, like the world ending creates loop holes in our rituals that can help us escape our illusion of limits and ascend into greatness. That is why when something significant happens in your life you end up changing something in your everyday rituals, it gives you that window of opportunity to understand how unimportant and unreal that loop you live in and feel safe is. Nothing is important when it comes to reaching your goal, nothing really matters in the end. What matters is you being happy and if changing something in your life can help you achieve that, you do that. Forget about anything and change anything that you want to change. Tell someone you love him, start working out, change the job that makes you feel bad… Now you have a chance! Let “The End Of The World” help you in creating a new one where you will live like you want to live. Happy and satisfied with what you have become. Nothing else matters. Let December 21, 2012 free you! Who knows, maybe the Mayans were that smart and this was their plan all along, to make us realize that we are always free.